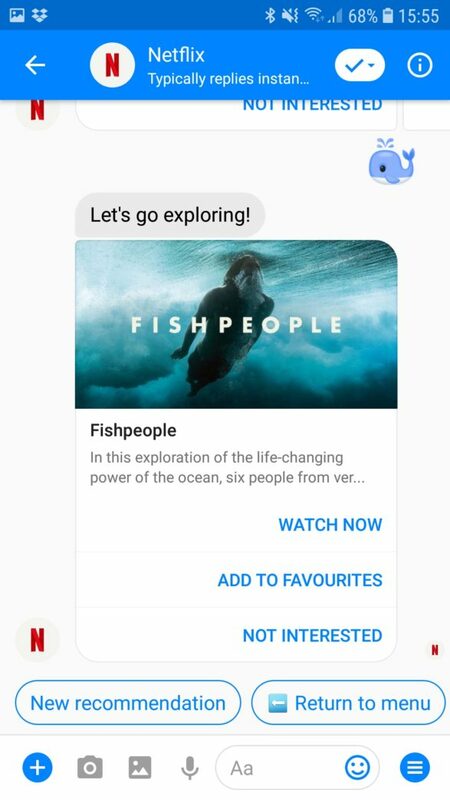 Facebook Messenger bots are being used more and more to provide fans with round-the-clock support. With time, bot technology is evolving and functionality is getting increasingly sophisticated. And this is opening up opportunities for brands to get creative. 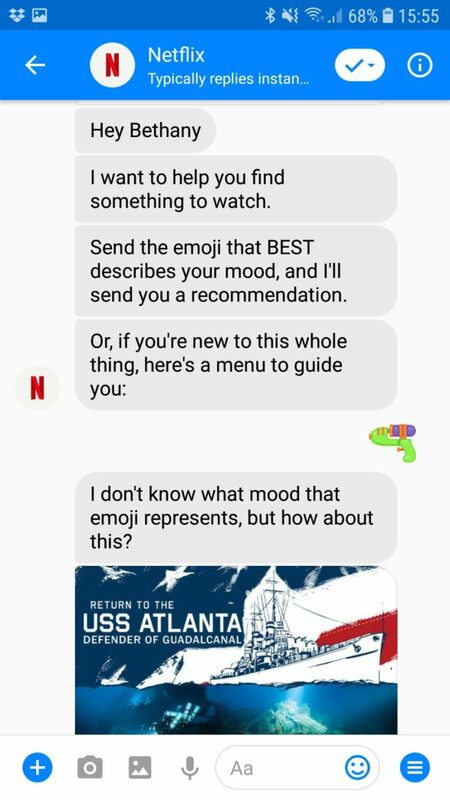 To celebrate World Emoji Day, the company launched Recomoji – a Facebook Messenger bot feature that makes TV show or movie suggestions based on a single emoji message. We gave Recomoji a try, with mixed results. As fans of mafia/gangster/serial killer/cartel/generally violent movies, our first emoji was a (water) gun. Our second attempt was much more successful. In fact, we had a whale of time with the bot. What we love about this campaign is how many boxes it ticks. 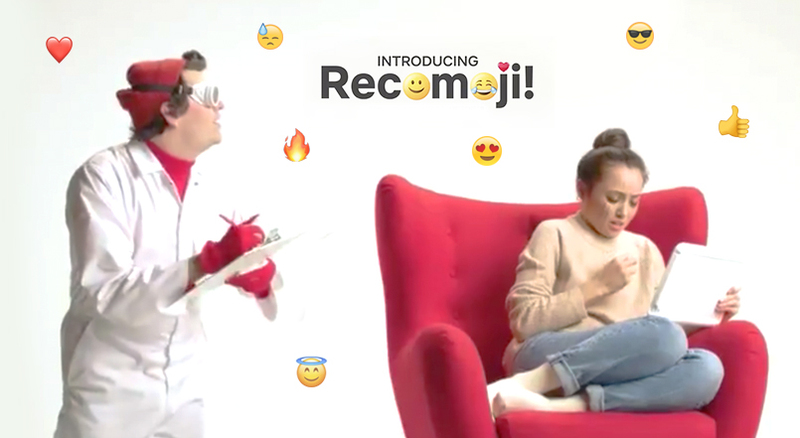 So all in all, Recomoji gets a big thumbs-up emoji from us. I’m about to take you back to the 90s. 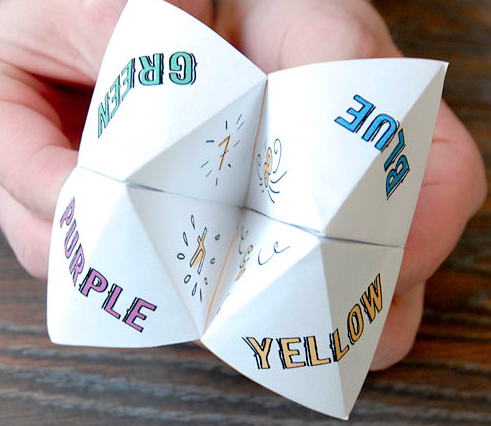 If you didn’t spend hours accepting dares or future predictions from folded paper fortune tellers like this, what were you even doing during primary school? For anyone out there who’s either never seen these before or forgotten how they work, here’s a quick refresher: one person “operates” the origami structure based on options selected by the player (a different selection of options are revealed at each level) until a fortune is uncovered at the end. The game is very old school. But this month, thanks to ASOS, it found a new home in 2018 (albeit in digital form). ASOS recreated the paper fortune teller through Instagram Stories to promote throwback items from one of its brands, Cheap Monday. Players could tap a certain number of times to reveal the next in a series of linked options. Once all the choices had been made, they found out who their style icon was (relevant to their pathway through the game), and were presented with an outfit to match. Of course, by tapping a certain number of times, players were really just skipping through other stories to arrive at the one relating to their choice. This is a great example of innovative use of Instagram Stories to create an interactive experience plus promote a brand/collection at the same time. You know an idea is great when a complex process is made super simple for the user. I can only imagine the logistics involved in putting this series of Stories together and making sure all the possible variations connected correctly. But the end result was a cool, different and fun experience for followers. Tommy Hilfiger’s new line XPLORE is both casual and damn smart. While the hoodies, jeans, denim skirts and accessories of the collection may look like on-trend everydayers, there’s more to them than meets the eye. Each item is equipped with Bluetooth chips, meaning wearers can be tracked everywhere they go. You’re probably wondering why anyone would want a fashion embellishment of this kind, but all will become clear. Along with tracking comes rewards! The more you wear an XPLORE piece, the more treats you can earn, e.g. gig tickets, gift cards, product discounts, charity donations and more. Bonus points are awarded for walking past Tommy Jeans stores, and also for finding special heart-shaped icons on the XPLORE map. There will also be weekly challenges set. 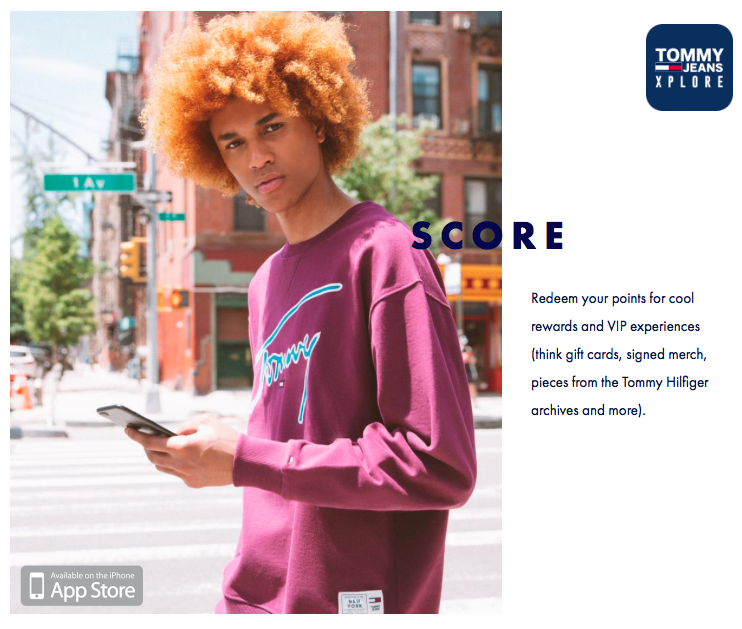 To activate the loyalty rewards, wearers need to download the accompanying Tommy Jeans XPLORE app and pair their clothing. The tracking can be turned off… but then you’ll lose the rewards too. Plus, I’m not sure why anyone would buy a sweater with a Bluetooth chip embedded just to switch it off. From a brand perspective, the data this initiative will generate is the big win. 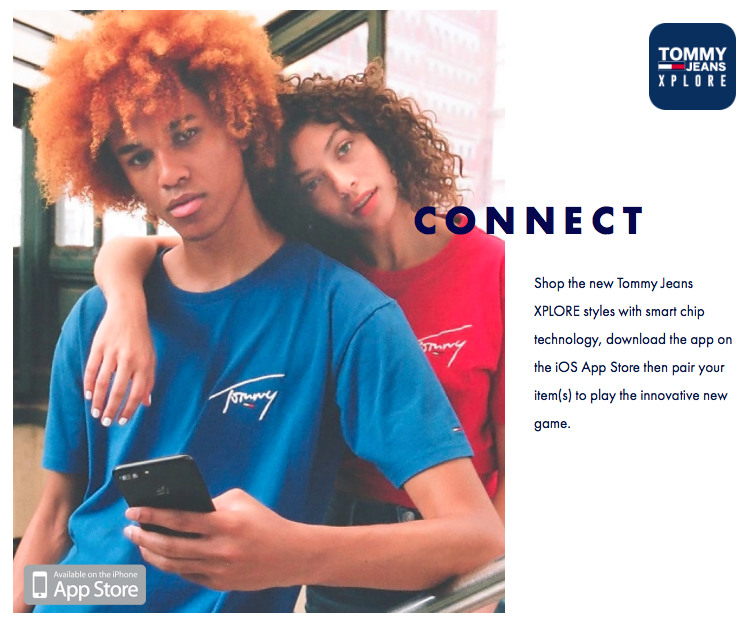 Tommy will know how often its customers wear its items, go to store, engage with the app and more. These insights will then go on to inform future marketing, advertising and targeting.